Another expert on the theme is Tomasz Kuba Kozłowski. His meetings about former Easter regions of Poland in Warsaw are always very popular. One of his topis was Borysław and petroleum industry (17.05.2012, 19.00, Al. 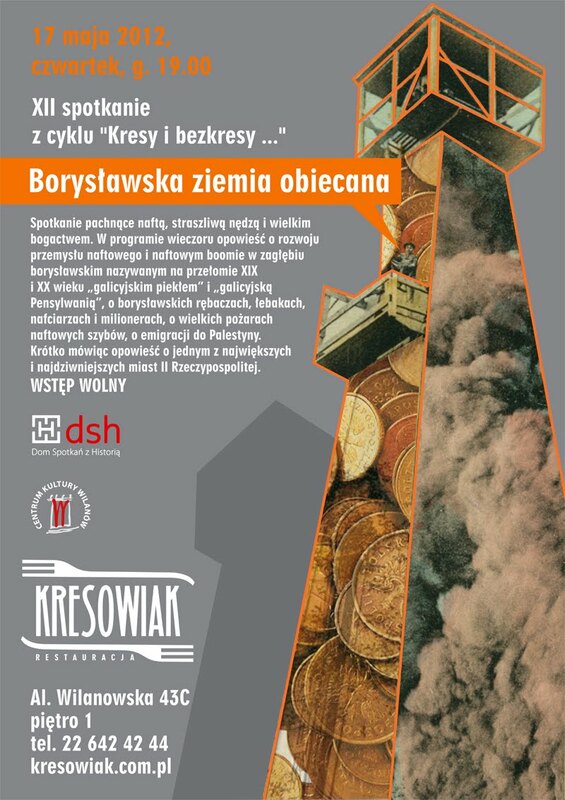 Wilanowska 43 c, organizers: Dom Spotkań z Historią, Restauracja Kresowiak). East Central Europe – what is it?